Many lockout issues are a direct result of locking the keys in the office, residential home, the trunk and the driver’s seat. So how can homeowners, commercial business owners and automotive owners prevent lockout issues? In this article, we explain some of the important tips through which you can stay away from the lockout experience. Let`s get started. Have a Routine of Placing the Keys at the Same Position. When you develop a habit, it is difficult to avoid doing it. When it comes to keeping your keys, you can form a habit of placing them at the same position to reduce the chances of locking them into the car, your residential home or the office. For automobiles, when you switch off the engine, ensure you hold the keys and leave with them before locking the vehicle. For commercial or business owners, ensure you place the keys at the same position and form a habit of picking them every time you are leaving the office. Technology is the best thing that ever happened to mankind! With Infrared and Bluetooth technology, innovative companies have come up with an easy way of finding your keys. All you need is to have a Bluetooth or Infrared device attached to the key holder and whenever you misplace the keys, use this technology to easily locate them. This way, you can be assisted easily. The old fashioned key ring still does a lot when it comes to preventing you from experiencing a lockout. You can place the key holder on your pants and easily ensure you always have the keys. Ideally, all you need to do is to ensure that you always have your keys with you. This might feel cumbersome for the first time, but it is actually a good approach when it comes to preventing a lockout issue. These are some of the common tips for preventing a lockout issue. 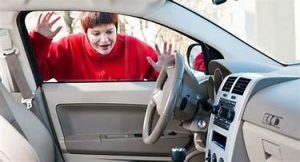 Experiencing a car lockout, house lockout or office lockout? Contact West Hollywood Locksmith for the best locksmith services. We have a highly trained workforce, are available 24/7 and have invested in the best equipment for your lockout issues.